Washington DC is a stately city. Stately, neat, distinguished, interesting and handsome - if a little short on the lived-in character that seems to come more easily to cities that aren't capitals (always excepting places like London, Paris and Rome). 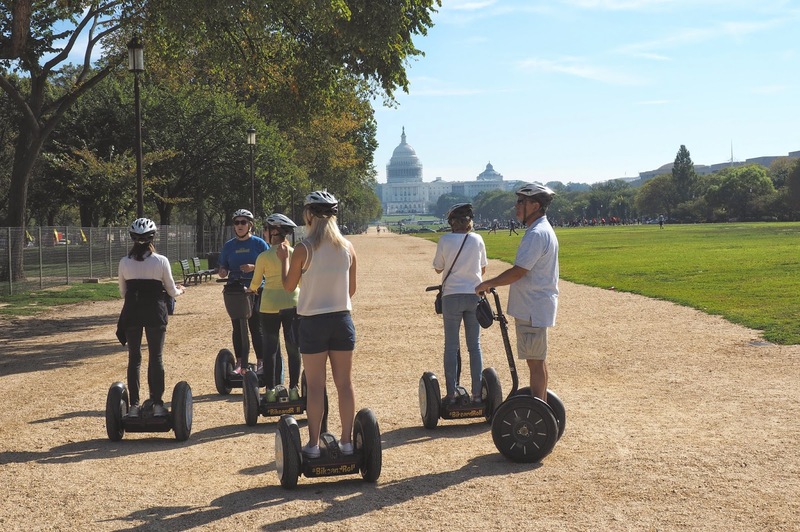 There's a lot to see, so to whine along the Mall by Segway was a smart idea - as well as, naturally, fun. Also naturally, the American way was exhaustively thorough and indemnifying, compared with the light-hearted and superficial (though perfectly adequate) briefing we got just over a week ago in Durban. Eventually, however, we got mounted and were whirring along the pavement, stopping at various points of interest, like some of the Smithsonian museums, and in front of the Capitol, before taking the Presidential route of the cycleway along the middle of Pennsylvania Avenue. 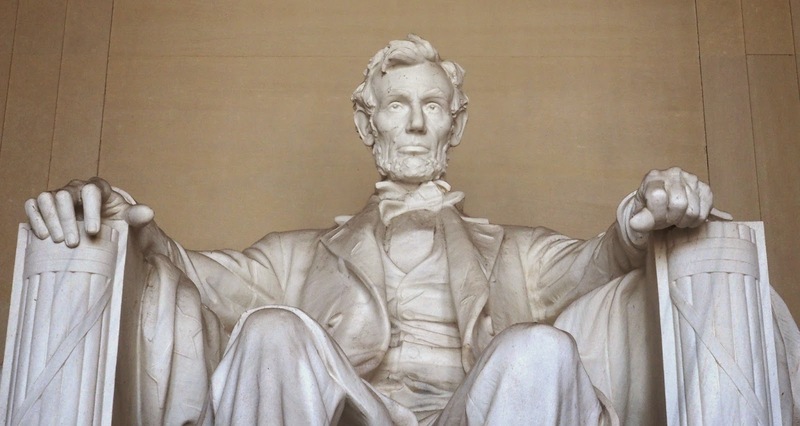 We saw the White House from across a meadow and then stopped at the Lincoln Memorial where Abe sat, dignified and impressive, looking over the Reflecting Pool to the Washington Monument obelisk and the Capitol beyond. It was a good introduction, necessarily superficial, but fun - and so was the next thing. Today was the last game of the baseball season, between the Washington Nationals and the Miami Marlins. The stadium was awash with red for the local team, over 35,000 people contributing to the friendly, family atmosphere. There were cheerleaders, a bald eagle mascot, titivators with rakes to comb the gravel, and a belting version of the national anthem sung to an audience standing with their hands to their hearts; plus plenty of beer and food, and a Mighty Wurlitzer commentary on the action. Though baseball is a closed book to me, rounders and softball at school helped a bit, and so did the man sitting next to me, who explained how it was history being made before my eyes. The row of zeroes on the scoreboard to me looked a bit disappointing, but apparently it was a rare thing to see the away team prevented from scoring any runs at all, and as the ninth innings began the crowd was on its feet willing pitcher Zimmerman to make the record books. Two strikes, then the third pitch connected and the ball soared over the diamond - and dropped straight into the hands of the mid-fielder. It was a joyous moment, the crowd roared with delight, and I understood how nothing could actually be quite something. What a thrill! I heard that some titanic survivors can't stand the sound of baseball games because the roaring crowd reminds them of the passengers going down with the ship. A grim thought, given My team just clinched a prime spot in the postseason today.